Will it pay for the wall? lol , zero views and one reply. 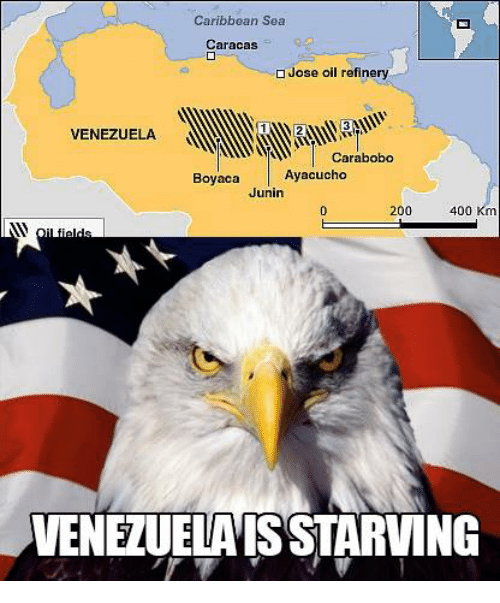 Take the oil, can we do that? at any rate , they kicked us out and Nationalized the whole shootn' match. Last edited by Stratovarious; 01-29-2019 at 05:46 PM. This might come as a surprise to you but "they" did not build anything for free, they got paid more than 100x over for building the oil infrastructure. This is like saying a college team should get perpetual royalties because they were able to help a college student get to the NBA. Sadly for the oil companies and the countries backing them, the relation is not meant to last forever. ....and you have a link, right, of course not ? rightfully earn 1000's of times the initial risk/investment. business is run, unless it's run by Socialists, right? Oh I know all about investment, contracts and returns, they usually have 10 yrs, 15 yr, 20 yr contracts etc plus opt out options and when those contracts are out, some disobedient govts decided to go their own way. I am not exactly sure what happened with Venezuela but this idea that just because you helped someone build infrastructure means that you should someone own the right to perpetual mining is rubbish. Oh yea, and the link..still lmao. You are a plethora of fantastic socialist ideas, sadly , socialism doesn't work. And what % of socialism does not work? I ask this because I see loads of countries "working" with part of their economies socialized.